Dunham & Vardy Construction Limited - Bathrooms, Builder based in West Clandon, Surrey. 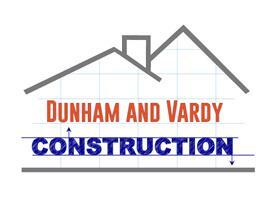 Dunham and Vardy Construction Limited is a Guildford based business, which was established in 2002. Over the years we have built an excellent reputation, having served a wide range of domestic, commercial, industrial and trade customers. Our staff are fully qualified experienced tradesmen so you can be sure that our workmanship is of the highest quality, delivering high standards to meet your needs and requirements. Dunham and Vardy cater for all traditional building, domestic building, commercial building and industrial building from small repairs, structural repairs and minor building works to brickwork and stonework new build extensions, timber frame, renovation, alterations and refurbishments. We have carried out many domestic projects from redundant barn conversions and cellar conversions and have built many single and two storey new build extensions in both traditional brickwork and stonework . Previous projects we have carried out range from restoration, renovation, structural repairs, cellar conversions and underpinning foundations. Brickwork and stonework. New builds and extensions for the domestic home and commercial properties, barn conversions and schools.